Zihna sighed heavily, "More work then I can handle, if I'm being honest," she chuckled quietly. Before she had time to answer, her orbs focused on yet another approaching figure, which was Corvus. Her audits picked up the conversation between the lead hunter and beta. She couldn't help but wonder what sort of prey they would bring back once their hunt was over. In truth, she did need help, though was surprised when the two genuinely offered. The canine flicked her tail momentarily before deciding to answer, "I am flustered indeed. I seem to have miscounted the amount of supplies I had. It turns out that I'm running short on many and could use some assistance," she said with a calm, composed tone. Zihna glanced over at Roi, unsure if he would help her or not, seeing as he had to form a hunting party, "Well, I need a number of herbs from the forest, some of which you may not have even heard of," she added on. She remembered a past experience when she sent a wolf out to gather a herb for her and in turn received several measly weeds. She was rather picky with her herbs, as they all had to be almost perfect, unless there was a shortage of them. "I need to depart for the forest to gather some, but any of you are more than welcome to join me. In fact, the more help I receive the better," she said with a wide smile. When Zihna caught sight of Celeste, she padded over to her in a hurry. "Hmm, typically this late into your pregnancy it would most likely be the pups and cramps, though I do have something that can help with the pain or nausea, if you have any," she nodded with a small grin. The canine padded off towards the back of her den and selected a small piece of ginger root, "Here you are, Celeste," she said, "Take the ginger root with water and it would help you," she nodded and placed it in front of her. Zihna then gave a small smile to all of the others in her den before tapping her paw on the ground. She trotted through the pack territory her ears scanning the area around her. She padded into camp feeling tired after the few days of almost no sleep. She pushed it back and stared looking for Shadow. Smelling a new smell in the air, one that was kinda familiar yet strangely foreign. "Roi you duties are relieved from you till after you help out Zihna here. I have other immediate duties to do, my apologies i wasn't able to help." Bowing his head with a bit of shame in his eyes. "Maybe we'll find each other in the woods later today and i can help you there." With a kind look on his face he turns tail and heads to where he smelled the strange scent of the spy. Trotting up to Blackburr he walks by her side. "Looking for the alpha yes?" Staring ahead he walks towards where Shadow is, beckoning the spy to follow. "Come with me, you'll be able to sleep in no time." Giving a knowing look towards her. She nodded as she followed in behind the male. "Hopefully unless I'm sent back out again immediately... It wouldn't be the first time." She said sadly as she kept her head down. Sisika was continuing to sit under the shade of the treen next to Shadow. However, once Blackburr and Corvus soon came into view, she immediately stood up and nudged her mate, "Blackburr has returned," she said to him. She wondered if she had any news from Sky Pack that seemed worth listening to. Zihna chuckled softly, "No need to apologize. I understand that there are other tasks to fulfill," she replied back. The canine nodded, "Alright, I'll keep a lookout for you, then," she said with amusement before glancing back over to Roi. She had a list of items to collect, all of which would take a long time to scavenge for. Then again, she knew where most of these herbs and items were, so perhaps it wouldn't take as along as Zihna thought it would be. "Thanks." Celeste said, before padding off to the stream with the ginger root. As she passed Roi she ran her tail lightly along his flank, but soon after she dropped her tail and took some of he ginger with water. She swallowed it, wincing. "Oh my god, that's disgusting." She growled lightly. She walked to a rock that was warm from the sun before laying down. She closed her eyes and drifted off to sleep. Shadow had been nodding off e been when he felt his mate nudged him. Â“Who, What, why-Â“ He stoped when he saw Corvus approach with Blackburr. Â“Is there any new news you have learned Blackburr?Â” He asked a bit impatiently. He really wanted to know what has been happening lately with the Sky Pack. He new that their alpha male had died a while ago, because the Eclipse Pack May have played a part in that. But he still wanted to get all the information he could. The Sky Pack were their worst enemy. She dipped her head low to the inpatient male keeping it low as she looked up at him submissively. "They are also having trouble with food Shadow. Moon has said that a new alpha male needs to be chosen. 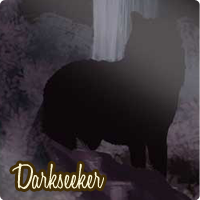 She is unsure of who to pick and is letting the pack chose who he should be with Moon will possibly have to make the final choice if there is more than one male they want as alpha. That is all I have to report." She stayed low and submissive as she looked up at her alpha. He looked at Blackburr surprised Â“A new alpha? Really? Ha. Moon is finally pulling herself together.Â” He said with a small laugh. Moon had been taking such a long time to get over her mates death. They are so weak he thought. Â“This is a very interesting dilemmaÂ” he said looking around to Corvus and Sisika. Snowfall knew it would be hard for Moon to choose. Moon was still mourning her mates death. But Moon would had to choose someone soon, because the eclipse pack could see it as a weakness. Snowfall felt like calling out to Moon to say that it's ok if she can't choose yet. But she kept quiet waiting for Moon to choose. Rock didn't want to sit and wait for too long. He wanted to run and play. He hated being the only pup but that was how it is. He started to paw the ground impatiently. He looked to Snowfall who had her eyes fixed on Moon. Waiting for her to choose. He sighed "Looks like I can't play" he muttered to himself.